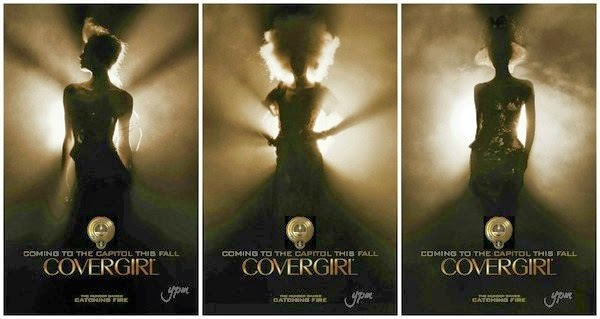 CoverGirl announced, today May 17, its first-ever major movie sponsorship of Lionsgate’s highly anticipated “The Hunger Games: Catching Fire”. CoverGirl will launch a first of-its-kind creative advertising campaign inspired by the film, featuring new products from the brand’s upcoming Capitol Collection from “The Hunger Games: Catching Fire,” which will be announced at a later date. Jennifer Lawrence, Liam Hemsworth, and Josh Hutcherson lead an all-star cast in the second installment of The Hunger Games franchise, “The Hunger Games: Catching Fire”. The trailer, which debuted last month, has been viewed over 25 million times on YouTube. The film promises to illustrate the exquisite splendor in the world of the Capitol in rich detail, and the film’s makeup department used CoverGirl products on set to create the film’s luxurious, high couture looks. Over the past year, CoverGirl has stood out in the beauty category with its addition of several new spokeswomen, including Pink, Janelle Monáe and NERVO, who, along with the brand, embrace beauty with a sense of authentic individuality and fearlessness. CoverGirl’s partnership with “The Hunger Games: Catching Fire” is the latest expression of the brand’s passion and commitment to continue to break barriers in beauty. Lionsgate and CoverGirl will be celebrating the movie partnership at a Cannes Film Festival Gala on Saturday, May 18. More updates about this exciting partnership will be released on CoverGirl’s Facebook page, Twitter and Instagram. “The Hunger Games: Catching Fire” is scheduled for North American release on Nov. 22.